"Android 4.0 or higher Loaded with OS Ice Cream Sandwich, you can enjoy the upgrade to Jelly Bean, the newest and most advance (sic) Android OS available"
In the past Boost has rarely provided Android OS updates. It's great to see this changing. A few weeks ago Boost's Samsung Galaxy SII received its Jelly Bean upgrade. Now Jelly Bean is promised for three more phones, although Boost isn't saying exactly when. Coincidentally or not, all three phones are currently on sale at boostmobile.com. Until April 30, the Venice is $149.99 (reg $179.99), the Warp Sequent is $109.99 (reg $149.99) and the Galaxy Rush is $99.99 (reg $129.99). 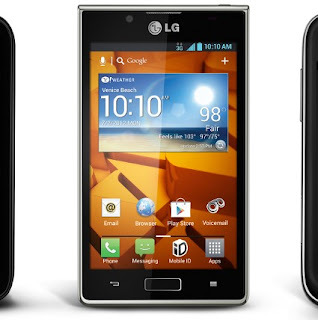 old news..Boost soon to get LG Optimus F5 and F7 4G LTE soon. Rumors. If I don't see it here, it's too good to be true. Why doesn't Virgin Mobile allow it's older devices to upgrade to jelly bean aka Android 4.x. My Triumph is stuck with Froyo. Thanks for the heads up Dennis. Looking foward to upgrading my Venice to Jelly Bean. I received an email from Boost saying this was an error and the three phones will not be getting Android Jelly bean updates. If you wish to see the email I got from [email protected], I will gladly foward it to you. I was told that the info will be changed thursday. Hey Dennis. That email is on its way to you. Boost Mobile sent me the OTA Jelly Bean update (4.1.2) for my LG Venice on May 18th. Thanks Boost Mobile!